Back in October 2013, a chaotic infection spread across the globe, turning the majority of the population into bloodthirsty zombies. The weak fell. Many of the strong fell, too. But some fought. They did things they weren't proud of. They made gut-wrenching decisions and faced up to dark realities in order to live. 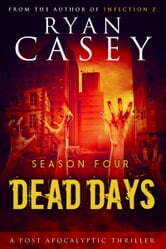 Dead Days is the story of a group of those survivors. Season Four of the thrilling, suspenseful post apocalyptic series continues from Season Three's jaw-dropping cliffhanger. Our survivors are reunited. The Manchester Living Zone seems a perfect place of respite. Humanity is rebuilding itself one small brick at a time. But a new, dangerous threat is coming. A threat that forces our heroes on their most terrifying journey yet. A journey that changes the lives of our survivors forever. There will be blood. There will be tears. 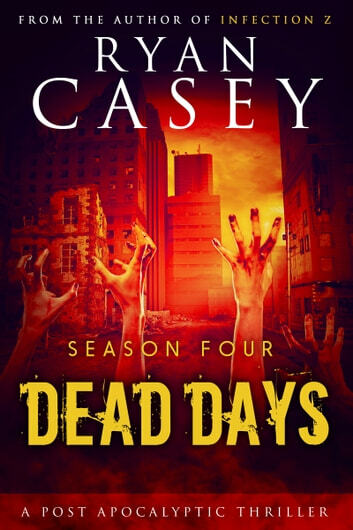 In the Dead Days, nobody is safe. The Sixth Extinction: America – Part Seven: All Aboard. The Sixth Extinction: America – Part six: A Friend in Need. The Sixth Extinction: America – Part Eight: New Hope. The Sixth Extinction America: Part Eleven – Resurrection. The Sixth Extinction America: Part Nine – Keep Running. The Sixth Extinction America: Part Ten – Don’t Look Back. The Sixth Extinction: America – Part Five: No Turning Back. Um....what happened to the zombie apocalypse? Not sure why this arc happened but I guess I need to read a little more. Well.worth the read but might get a little strange in ya.